At it’s base a NAS is very simple, and many companies produce fine NAS devices. 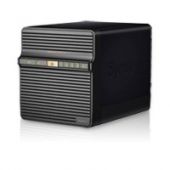 But What really sets Synology Apart from the other manufacturers, is the DiskStation Manager. In addition to the raw specs of this device we will be taking an in-depth look through software capabilities of the DS 411+ II.